gentle valleys, exciting steep slopes and countless romantic settings, the ideal destination for hikes for everyone. The heart of western Trentino has many woods, stretches of water such as Lake Smeraldo and enchanting villages and castles, such as Castel Thun. with your feet or hands. An enormous plateau has been crossed by rivers and streams, which have carved out the rock for a thousand years creating gorges, waterfalls and ravines that have earned it the name of “La Valle dei Canyon” (the valley of the canyons). Do not miss the “Novella” river park: a natural water trail, 3.5-km long, from Cloz to Romallo. the genuine feel of nature along the extensive trails around Lake Tovel, in the Adamello Brenta Nature Park, when Nordic walking, on hikes on snowshoes, and along the cross-country ski trails and downhill ski runs. your heart beating on exciting descents in a kayak, on hikes or on rafting trips in the nearby Val di Sole. Listen to the silence of the Dolomites, shrouded in snow, on the days you will spend cross-country or downhill skiing, ski mountaineering or snowboarding. If you prefer snowshoes and sleighs, there are many mountain trails suited to all ages. The history of the Val di Non can be felt at every step: you will experience a journey through time, in the most renowned museums and castles of Trentino. Among the many attractions, the staff of Blumenhotel Belsoggiorno in Malosco recommend: the Museo Etnografico of farming culture in Anaunia, the Museo Retico and the Gampen Gallery. Also discover ancient crafts: the Segheria Veneziana (Venetian sawmill), still in operation using water power, and the Museo del Legno (wood museum) in Coredo. The Val di Non not only offers museums. For a journey through the history of Trentino, leave your books at home and take a tour of the castles. Dotted throughout the area, they are testimony of the rich history of the Val di Non. Castel Thun in Ton, an elegant stately building, which was home to the ancient and powerful Thun family from medieval times to the 20th century. Take advantage while on holiday in the Val di Non: take a break and grasp the opportunity to get away from the hustle and bustle of everyday life to visit the Santuario San Romedio, the new home of the brown bear of Trentino, the Eremo di San Biagio (hermitage of St. Biagio) and walk along the Cammino Jacopeo d’Anaunia trail. 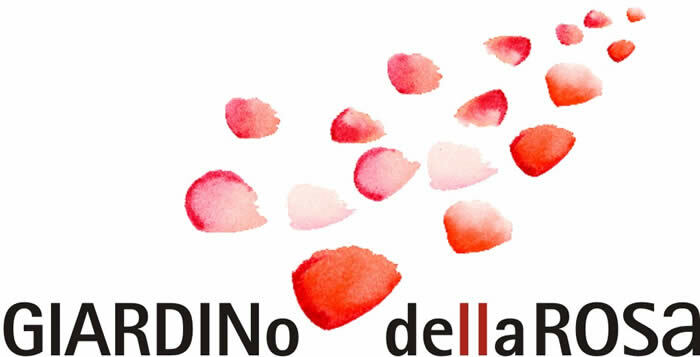 The Val di Non is a land of ancient traditions and flavours: it is crossed by the Strada del Vino e dei Sapori del Trentino... a food and wine route, and much more, which will allow you to discover the culinary and cultural treasures of our land. The main stopping places along La Strada della Mela e dei Sapori (the Road of Apples and Flavours) in the Val di Non are: Rumo, Coredo, the Altipiano della Predaia, Ronzone, Malosco and Fondo. Here, many agriturs and alpine dairies, easily reached along hiking or bike routes (but also by car), will allow you to taste local products such as fresh milk from the alpine dairies, cheeses with herbs, honey and honeydew honey. Culture in the Val di Non comes from the land. During your holiday in Trentino at Blumenhotel Belsoggiorno, you should taste the apples, cheeses such as Trentingrana, Casolet and Monteson, or smoked Mortandela (a type of sausage) supported by Slow Food. Your journey of flavours should continue with traditional cakes such as Brezdel (a sort of madeira cake) and apple strudel. One of the dishes of the Val di Non that you absolutely must taste is Tortel de Patate (potato pancake). The garden will offer visitors an educational trail, featuring all the species and varieties of roses from all over the world, with over 400 flower varieties, totalling 12,000 rose beds. Thanks to its botanic roses, ancient roses, over 40 varieties of native Alpine roses, along with bulb plants, perennial flowered meadows of a thousand colours, combined with the beauty and scenic location of the garden (set on a beautiful terrace overlooking the entire Upper Val di Non), the "Giardino della Rosa" Rose Garden will be a unique spectacular sight. Visitors can admire climbing roses along a 400 metre long bower running around the entire perimeter of the "Giardino della Rosa", which is rather regular in shape. But the real heart of the garden will be a huge lawn at its very centre, which will host events, art shows, cultural performances, outdoor conferences and educational projects, etc. The "Giardino della Rosa", in fact, has been designed not just as a static display, but as a venue whose appearance will change with the seasons and the many events held there.